Internet Marketing Manchester Services | Professional Internet Marketing! Internet marketing Manchester professionals with a history of position #1 rankings! Need to start directing relevant, high-converting traffic to your website, fast? You’re in the right place. We offer competitive internet marketing Manchester services that get your business recognised by the right people. We’ll place your website in the fast lane to success with a combination of online marketing services that bring in more leads than you can handle. If you are looking to work alongside an award-winning internet marketing Manchester company with a track record of position one rankings, hit that enquiry button. The best Manchester internet marketing business. So, what makes us the best internet marketing Manchester business? We never use the word ‘guaranteed.’ We have ‘proven’ results that speak for themselves. We don’t need to hide behind false promises of getting you to rank number one in a day. It’s rubbish, and you won’t experience long-term results. Instead, we take the time to get to know everything about your business so we can bring in the best results possible. We have many websites that all rank at the very top of Google for competitive industry terms. What does that tell you? It tells you that we practice what we preach! 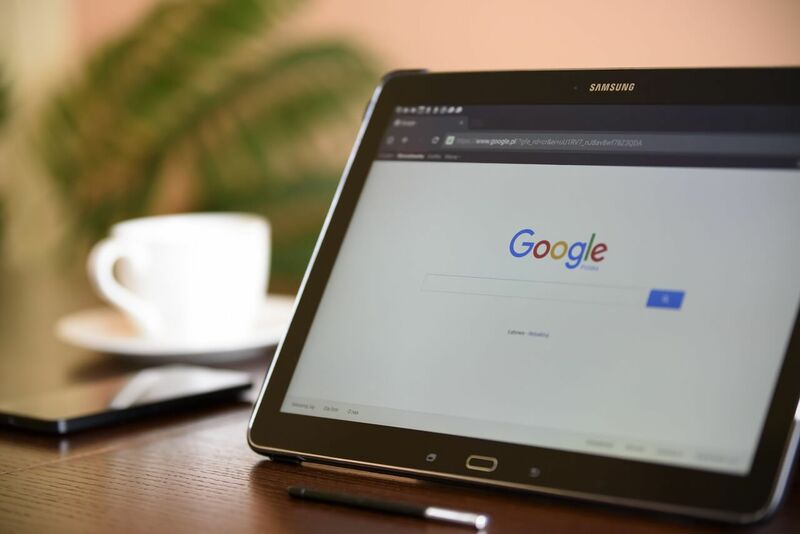 At Bigfoot Digital, our SEO Manchester team are qualified in all areas of marketing from search engine optimisation (SEO) and paid advertising to website design and development. Whatever the nature of your enquiry, if the desired outcome is to grow your business online then keep reading. Unsure of the services that will benefit your business? That’s not a problem. We understand that it all comes down to return on investment. In other words, you need to see money coming in to support your marketing efforts. We’ll create a bespoke marketing strategy that prioritises services that are going to bring in the highest return. We help search engines find your website before the competition. Through the art of search engine optimisation, we work to position your website at the top of Google for competitive industry terms. We have an incredible success rate when it comes to creating sites that not only appear at position one but convert clicks into customers. We take a unique approach to search engine optimisation. Most agencies work by the book; they don’t test new strategies. We like to be the exception. Our internet marketing Manchester team don’t settle for the same – they want sensational SEO! We test strategies ourselves (which is pretty exciting for SEO geeks, like us) before introducing them to clients. And, before you ask, we always follow Google’s best practices. Link building: The first and arguably the most critical aspect of any internet marketing campaign is link building. You need to show Google that many authoritative sources trust you. We build quality links that position you as a market leader and that help you climb the rankings. Outreach & PR: We combine public relations and influencer marketing to deliver links from people who offer instant credibility for your brand. We have built lasting relationships with thousands of online influencers, bloggers and journalists who are happy to shout about our clients. The process of contacting prospects and pitching content takes time, and money. We already have connections and can introduce your business. Content marketing: Not only are we tech-savvy, but we’re creative too. Our SEO team improve conversion rates significantly with carefully-crafted content that is designed with Google and your visitors in mind. All content is planned to precision. Every page, every post is created with your customer in mind. We’ll look for opportunities to optimise your content to attract new, potential customers. This internet marketing service requires a complete section. Technical SEO is the foundation for ranking highly in the search engine results. So many SEO’s will set to work optimising your on-site content without considering these fundamental factors. Does your website load like lightning? Alternatively, do you have broken links, duplicate content and spam content pointing to your site? Without a grasp of these basics, you are already behind the competition. But, don’t worry. We’ll take care of everything to ensure you have the best start to your online presence. Historically, a live website would be enough to ensure you generate sales. Fast forward to the present, and you need an active social media presence to reach your audience directly. There are over 2.8 active social media users in existence across all platforms including Facebook, Twitter, Instagram, and LinkedIn. That’s a huge potential for your business. Capitalise on that interaction with a marketing strategy from a company that has personally won awards for its success in social media marketing- that would be Bigfoot Digital. We have taken accounts from inception through to high-converting campaigns that continue to grow every month. Whether your goal is to build brand awareness, capture data or increase purchase orders, we can deliver the lot at a competitive price. Without a successful site, how do you generate leads? How do you build trust in your brand? Your entire business is redundant. Sad, but it’s true. At our internet marketing Manchester business, we create sites that are fully-responsive, designed to perfection and optimised for the high-value customers. Your website is likely to be the first point of contact between you and potential customers – make it count. Our sites are designed with the customer in mind, so they operate flawlessly for optimum conversions. What’s more, our websites are developed using WordPress which gives you complete creative freedom. There are thousands of theme options and templates used to improve the user experience and boost search engine optimisation results. An internet marketing Manchester company you can trust. Give us a call today or send your enquiry to enquiries@bigfootdigital.co.uk – we’d love to help your business thrive online!